MUMBAI: Maharashtra, the second most populous State, needs to increase spending on health to over Rs 74 billion by 2018 to meet challenges in the key sector and rising cost of medical care, a research institute said today. Maharashtra is the second largest state in terms of population in India where 45.2 per cent people reside in urban areas with an income of over Rs 15,40,000 crore. 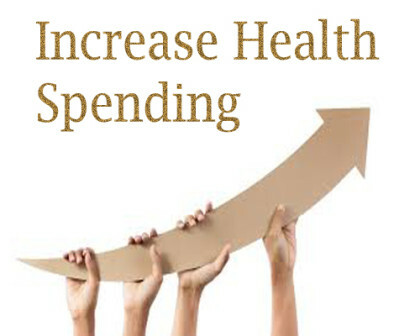 However, with the growing urbanisation there is a need to look at the growing healthcare costs as well. The State needs to increase health spending to over Rs 74 billion (Rs 7,400 cr) by 2018, New Delhi-based International Institute of Health Management Research (IIHMR) said in a statement here. The State Government has allocated a sum of Rs 2,296 crore to the health sector in 2015-16. Maharashtra’s health budget needs to be a little more ambitious to overcome the lack of public health and medical facilities and fill in skill gaps of huge vacancies in rural hospitals and other centres as well as PHCs, it said. The state should also look at investing in healthcare IT, which is expected increase by CAGR of 13.4 per cent during 2015 to 2020, IIHMR said. “According to the National Sample Survey Office (NSSO) the average cost of hospitalisation in India has risen from Rs 8,851 to Rs 24,436. The average cost of hospitalisation in Maharashtra alone is Rs 20,475, of which 19.2 per cent people have been utilising the services of public hospitals and 80.8% of private hospitals,” IIHMR-Delhi Dean Ashok K Agarwal said. “According to Ministry of Health and Family Welfare, the percentage distribution of public health expenditure in Maharashtra alone is 8.70 per cent, the highest after Uttar Pradesh,” he said.